This nifty little item allows you to plug your Android (or other non Apple Phone) into any accessory that uses the apple dock connector. Â This is a really great idea that opens up your device to so much choice. 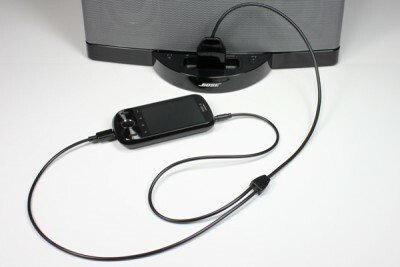 Â The Smart USB cable also allows for charging of the phone as well, coming with a connection that includes a 3.5mm headphone jack along with micro USB which then plugs in to the dock connector on the Stereo. The possibility's are even great than I first thought. Â Got an iPod connector in the car? Â Dockboss+ will work. Â This truly is Â a really great addition to an Android owners survival kit. Â I for one will hitting up the guys and picking one up very soon.